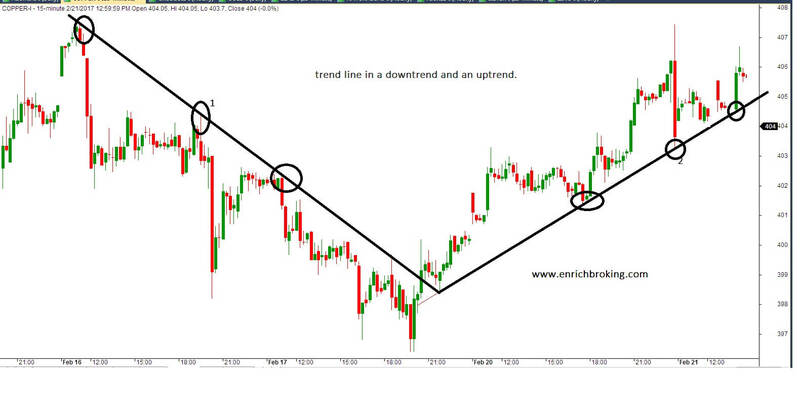 Below is an illustration of a trend line in a downtrend and an uptrend. Trend Line in a downtrend: Drawn above the price. The trend line is comprised of the highs on a downtrend and the lows on an uptrend. A minimum of two swing highs or swing lows are required to draw a trend line in either direction. In fact, the validity of a trend line relies on at least three highs or lows used. The more number of times the price touches a trend line, the more it becomes valid as there are more traders using them as support or resistance. When drawing a trend line, most traders prefer wicks and some prefer the bodies of the candlestick which is acceptable. 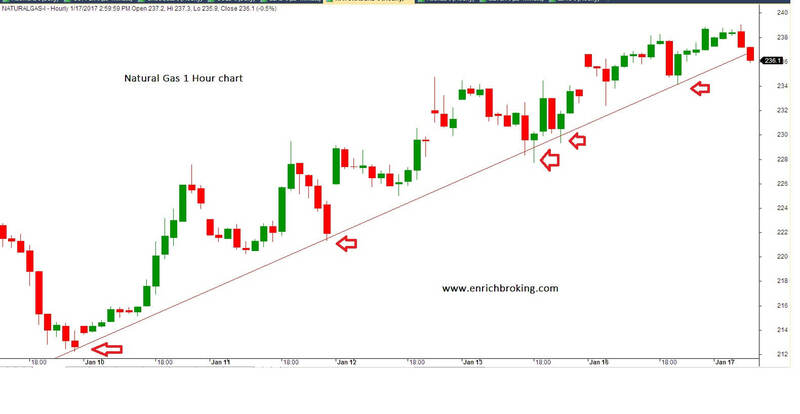 The chart below is an illustration which depicts a trend line drawn using the bodies of the candles. As the trend lines are subjective in nature. We need to choose a methodology suitable for us but not deviate from it. Two highs must be connected by a straight line in a downtrend .